You’ve decided to take the plunge and go get a psychic reading. 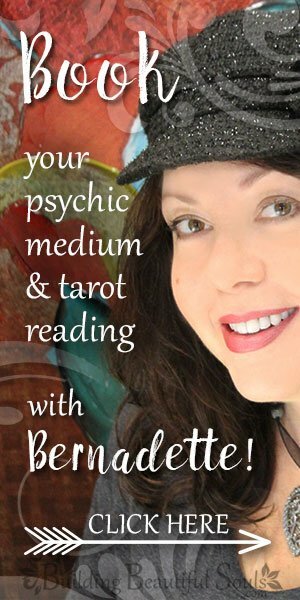 Now, if you’ve never had a psychic reading before you might find yourself at a bit of a loss as to how to prepare for it. No, don’t worry. You don’t have to pat your belly, rub your head and stand on one food (smile). However, you might have a better experience if you bring important questions to your sitting. Now, let’s back up for a minute. Some psychics (me) tell you to keep your questions private until after the reading. That doesn’t mean you have no questions – it just means leaving them unvoiced until the psychic reader has delivered all the messages Spirit (his/her/your guides, angels, ancestors, and more) has asked the psychic to deliver. At the end of the session you can share if the information you received answered those issues or actually opened the pathway to a whole different line of thought. This two-pronged result is exactly why some psychics and psychic mediums have you keep your cards close to the chest, so to speak. They don’t want to focus so much on one topic that the Universe can’t get a message through that you might really NEED to hear about, more so than the other questions at hand. This is actually a good item for your investigation when you’re setting up a time slot with your psychic. They usually have a good feel for how many questions fill X amount of minutes without glossing over things superficially. You may end up asking all your questions, less or more depending – you are a unique person and the results from your session will be likewise unique to you, your concerns and your needs. So if your psychic counselor suggests 3 questions, have a fourth for back up. Also realize that your planned questions may change completely depending on the answers you get from the previous inquiry. That is completely normal, and often far more meaningful. You have now joined in the intuitive process with your reader, so you’re going to get better results. If you talk to psychics, I would guess nearly all of them will say that relationship (family, romance, career, and pets are included in ‘relationship’ queries) questions come out as the most popular subject time and time again. There’s a reason for this. When it comes to our emotions humans often need an outside perspective that has no personal investment in the outcome of your activities. Emotions are subjective. This gives you more objectivity. I feel like we are having problems but I can’t get a sense for why. Any insights? Our relationship is pretty good but for (fill in the blank). How do we improve that? Careers are another “hot” topic for psychic readings. Everyone wants to figure out the road to success, but when there are global financial downswings everyone gets nervous about job security. In either case focus your question on what leads to the greatest accomplishments, which in turn support longevity! Alternatively you may want to have your reader look at your current career path and see if it’s got some twists and turns that you need to consider. Though a psychic or clairvoyant may give you spot on information regarding your finances or your unique path to abundance, you should always seek the advice of a finance and and investment professional. However, just like all other metaphysical matters, tuned-in psychics can easily see the energetic field around financial matters. Let’s say you are just not good with money. You never seem to have enough to pay bills or feel safe. A sensitive psychic can give you an idea of why you aren’t able to save money or, even if you’re super wealthy, you just never feel as though you have enough. Thinking you want to buy homes and flip them for profit? An honest and real psychic will let you know if it’s in your highest and best interest or if you’ll lose your shirt. We face decisions nearly every moment of every day. Do you turn right at the light or go another route? Do you get a new house or stick with your current property? Do you find a new lover or stay independent? Truth be told, you have probably already made a decision on these topics and an ethical psychic counselor won’t give you a pat answer. Rather they’ll redirect your questions so you can look at potential results from your choices then make a move accordingly. Uncertainty applies to who, when and where inquiries too. You have free will. A reader picks up patterns and trends but if you’re looking for an answer like “John Doe, in 2 months 5 days, in a park” you’ll be disappointed. Some psychics get part of the picture. For example, they may feel that you’ll meet an important person in an outdoor or natural location but have no idea about the time or individual involved. Be reasonable in your expectations (and that means thinking about expectations in how you phrase questions). Health questions are another tricky topic for psychic readers. There are psychics who specialize in this type of intuitive service. They are called Medical Intuitives. Some are extremely detailed in the information they can pick up from the sitter. However, they CANNOT and SHOULD NOT give you medical advice. They may, however, be able to veer you away from physically, mentally or spiritually troubling situations that could impact your health. When you want to know why you’re sick – see a doctor. If you want to know what you can do to stay holistically healthier – see a psychic. Please be aware a Medical Intuitive or any kind of metaphysical practitioner’s information should never, ever take the place of a licensed medical professional. Ah, now you’re in the psychic reader’s playground. They may pick up on things that you’ve never seen about yourself. 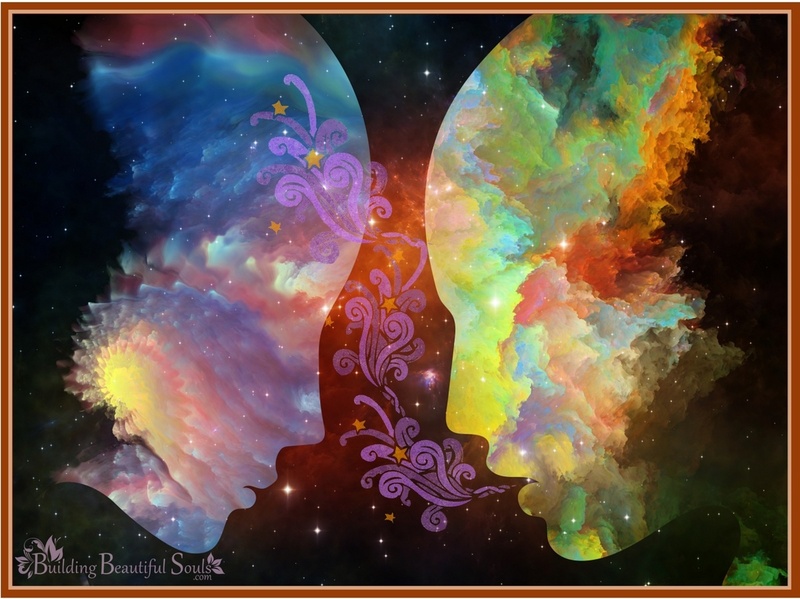 Do you think you might have psychic or other spiritual gifts? Ask! Do you feel like your spiritual Path has you spinning your wheels in mud – Ask! Want to know about past lives or spirit guides – ask! Now, some folks don’t believe answering spiritually related questions is a psychic’s job or that they should have to pay to have the psychic answer questions such as these. Our advice? If you do not want to pay a psychic for this kind of information then make sure not to ask questions that will take the reading down that road. Also, if you feel that a psychic is giving you a pep talk, coaching, or teaching about spirituality instead of a real psychic reading, don’t be afraid to speak up. It’s YOUR session and YOUR money. You should be able to feel comfortable enough with your psychic that there can be open communication at all times. Folks love to ask psychics who their Spirit Guides and Angels are. Relationships with Spirit Guides and Angels are incredibly personal. For this reason, I don’t recommend asking a psychic to ‘tell’ you what she/he sees. I recommend you meditating, asking Spirit to send you signs, taking a credible ‘Meet Your Spirit Guides & Angels” guided meditation workshop, etc. Specifically in the case of Angels, many psychics are quick to say they “see” the headliners of the angel world – Archangel Michael, Gabriel, Uriel, Metatron, etc. Why? Because everyone wants to think good ol’ Michael has their back. And he does. He’s an angel. He’s got everyone’s back. Realistically at the end of the day the questions you present to a psychic are those that matter to you most. Just take the time to think about them. Write down several before your appointment, then read them prior to going. You still have time for tweaking and changing so they better reflect the matters at hand. This entry was posted in Psychic Abilities, Powers, & Readings. Bookmark the permalink.